Trent has been selling cars for over 30 years in the Topeka area. He has worked at several local franchise dealerships throughout his career. In 1999 he opened Trents 29th St Auto World. He took the experience from the big dealerships and tailored it to meet the needs of his customers. No pressure, No games, No gimmicks...just complete honesty and respect for each customer. Trent stands behind each vehicle and is always willing to go above and beyond to make sure any problem or issue is handled to the best of his ability. 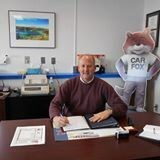 Please let Trent find you the best car at the best price!!! 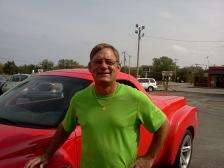 Glenn has been selling cars in the Topeka area for over 30 years. He comes to us from BMW of Topeka. (formerly Sunflower Motors) Glenn is the manager of our website and lead salesman. His experience in our industry makes him a great asset to the team. He has a gentle- no pressure approach to selling that makes him a great fit for our dealership. Call Glenn today to schedule your test drive! We would like to welcome Eddie Bergman to our team here at Trents Auto World. He comes to us from BMW of Topeka (formerly Sunflower Motors) where he worked for over 20 years. While his specialty is the german cars he can work on any year, make or model. He is an amazing technician and is great addition in our service center. Call to schedule your service with Eddie at Trents Auto World. Service you can trust, with rates you can afford.